Let me back up a bit- I’m guessing at least half of you are about about to google ‘pot de crème’ because, well, you are regular people. 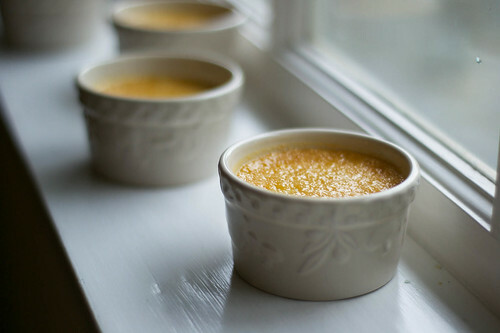 ‘Pot de Crème’ [poe duh krem] is simply a fancy shmancy French way of saying pot of custard. I described these to my friends as “like crème brulée but maple and without the torch on top.” I’m afraid to torch my food. Am I the only one? Anyways, these are smooth as velvet and make your tongue want to dance and throw confetti. Have I suggested that you try them? Because you reeeeeeally, reeeally should. For real guys. This is not a laughing matter. Pour the mixture into the four ramekins. Place the ramekins into a larger pan (I used a 13×9 brownie pan) and place the entire thing on the oven rack. With the oven open, pour enough hot water into the pan to go halfway up the sides of the ramekins. Close the oven door and bake until the edges are set but the center gently jiggles when shook, about 50-60 minutes. The tops will probably bubble- this is good. 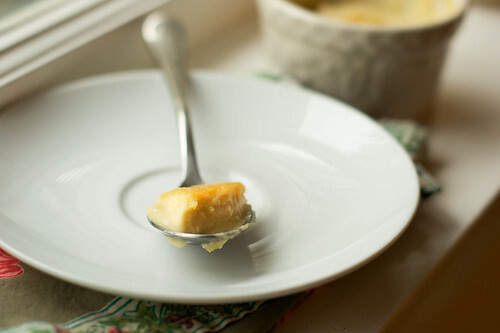 Remove the ramekins from the water bath and cool to room temperature. Refrigerate about an hour or until set, and serve cold. I think I found the pot of gold at the end of the rainbow. I am always up for eating my feelings. I probably shouldn’t admit that to the world wide web. let’s start again. I am always up for anything maple flavored. I need these in my life. You’re so right. Rock on my friend. Rock on. Great recipe. Also, what makes your small blog better than most of the other food ones I’ve come across is your writing ability. It’s prodigious. Keep it up. Simple and delicious! 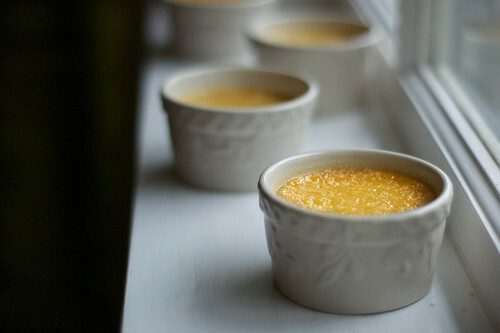 I don’t have a creme brulée torch so these are perfect. Maple+ cream = happy me!